Your client experience is centered around you. Our goal is to help with everything around you, saving you time, energy and money, while reducing your stress and uncertainty. We work collaboratively with your tax professional and estate planning attorney to ensure that you have the best financial, legal, and tax advice. We work together to make sure we don't miss anything important, and that you don’t miss an opportunity to save money. Learn more about how to optimize your experience with Woodward Financial Advisors by reading our Engagement Standards. 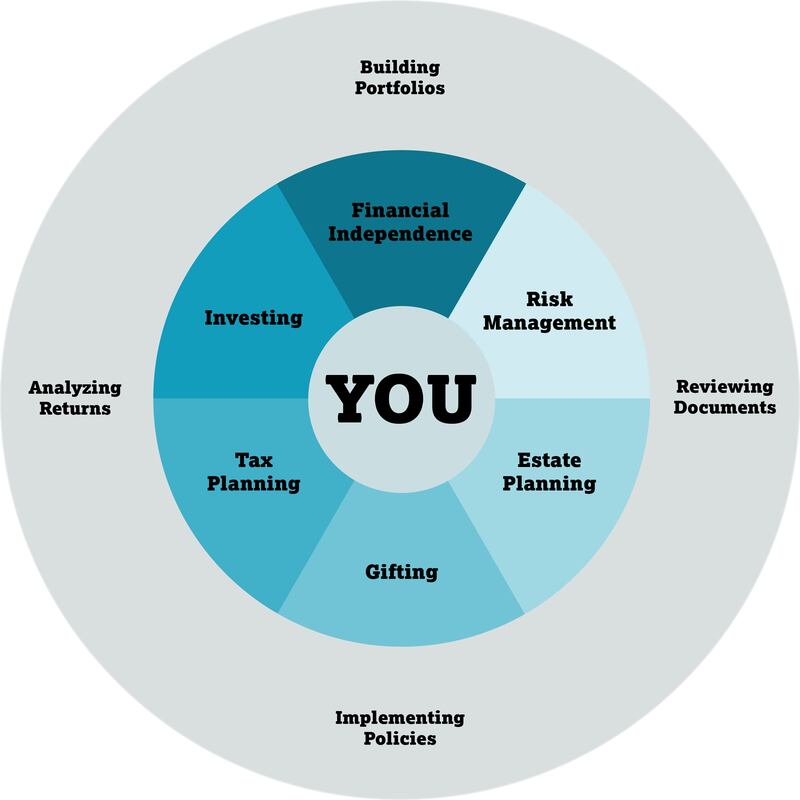 We charge a flat annual advisory fee for our Wealth Management services that is customized to your unique situation. This advisory fee is the firm’s only form of revenue. We do not receive any commissions for the sale of financial or insurance products, nor do we accept referral fees. We consider many factors when determining a client's advisory fee, including the complexity of the relationship, the anticipated amount of staff time involved, portfolio size, and other items. We believe this structure is the best method to offer you a fair value and to minimize conflicts of interest. Our goal is for your return on investment in our Wealth Management service to be worth multiples of what it “costs." We strongly believe our firm to be a substantial value compared to other advisors for the investment you are making in partnering with us.